TRAFFIC OPERATIONS: Get insights into traffic count growth, road pavement needs, Peak Hour Factor (PHF) and notifications when traffic sensors go down. TRANSPORTATION PLANNING: Understand multi-modal transportation trends across city networks, plan for future capacity needs by calculating metrics such as Annual Average Daily Traffic (AADT), and have the right data for traffic impact studies. CITY PLANNING: Have instant access to critical traffic count data and correlate with zoning, weather, population and land use information, resulting in a streamlined community planning process. Combine information from different internal and external sources to provide added value. Enable real-time and historical visualization, querying and analysis of sensor data. Provide an interactive, cloud-based interface to extract, consume and analyze data from a variety of sensors and sources. Web-based access allowing 24/7 access from any location with Internet access by any authorized user. A license covers everyone at the City and SEMCOG. Easily share platform access with anyone in any department. Continue to upload new data sets to solve your use case more effectively. Export the data as much and as often as you require. 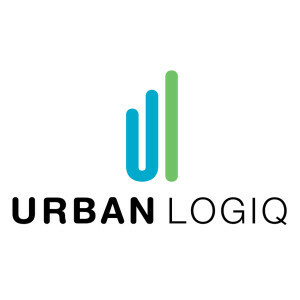 UrbanLogiq is in full compliance with the latest global privacy regulations. The platform’s scope and reach will be as extensive as you choose for no additional fees.